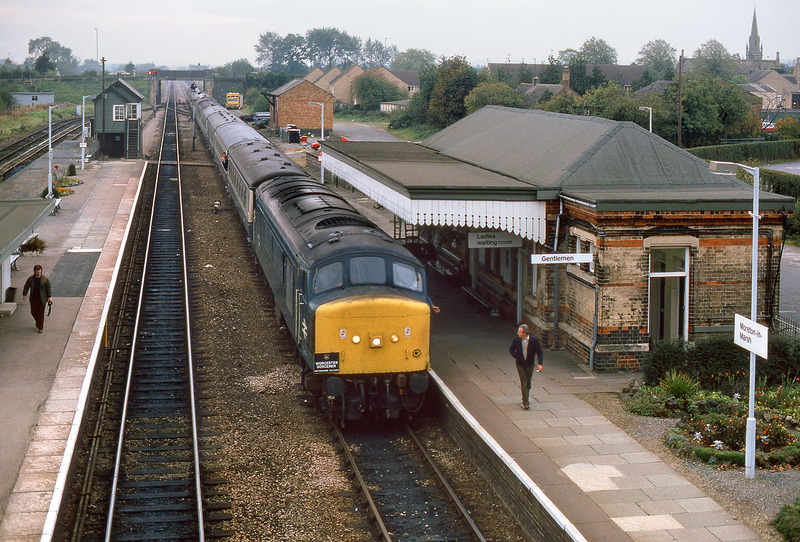 The signalman at Moreton-in-Marsh walks along the platform with the single line token, while the driver of 45144 has his hand out of the window ready to pick it up. The 'Peak' is working the Hertfordshire Railtours 1Z26 07:53 St. Pancras to Glascoed 'Worcester Sorcerer' railtour on 18 October 1986. The tour visited two military installations, Long Marston (assisted by 37306) and Glascoed (assisted by 37149).